The Six Nations Rugby union has introduced a new scoring system for the 2017 event. This system will be trialled for the next three years and a final ruling based on the success of the system. The scoring system to be trailed is not a new system per say. It is a system that is currently in use in the Rugby World Cup, the Pro 12, and the Australian Rugby Championship along with the English Premiership. There have also been successful trials of the scoring system in the Under 20’s Six Nations and the Women’s Six Nations. The main crux of the new system is that a winning team will now receive four instead of two points. 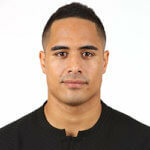 If the victorious team scored 4 or more tries, they will receive an additional point. The losing team has a chance to earn two points, firstly by scoring 4 or more tries in the match and secondly if the team lost by a less than 7 point margin. A draw match will award each team 2 points with the same additional points applying as above. Finally one of the bigger changes is that the team that achieves five victories will receive the Grand Slam award as well as 3 additional points. The main aim of this rule change is to encourage more aggressive play from the teams to provide more exciting and attacking matchups. At the same time it is also hoped that the new scoring system will not upset the unique dynamic of the Six Nations cup. With England’s first Grand Slam win last season in 13 years, they will be the main targets this year from the other teams. Additionally defensive coach Andy Farrell is hoping that that the mindset change that the new rules will instigate will be beneficial in the Lions future matches against the All Blacks. 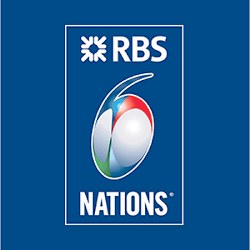 The Six Nations will also feature France, Scotland, Ireland, Italy and Wales. With 27 and 26 outright wins in the Five and Six nations respectively, England and Wales are always favourites. 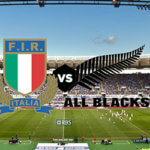 It is only Italy and Scotland that has so far failed to win a single six nations title since its inception in 2000. The union will definitely keep a close eye on the success of the new scoring system. It has seen much success in many of the other leagues it was implemented in.